Installed themes section contains the list of site themes which can be activated. 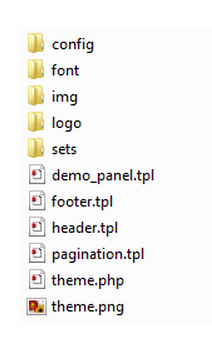 There are ten ready themes available for user mode and one for administration panel. One theme is active by default. To activate a theme click a circle icon. By clicking an eye icon you can preview a site theme. Click settings icon to view available color themes. 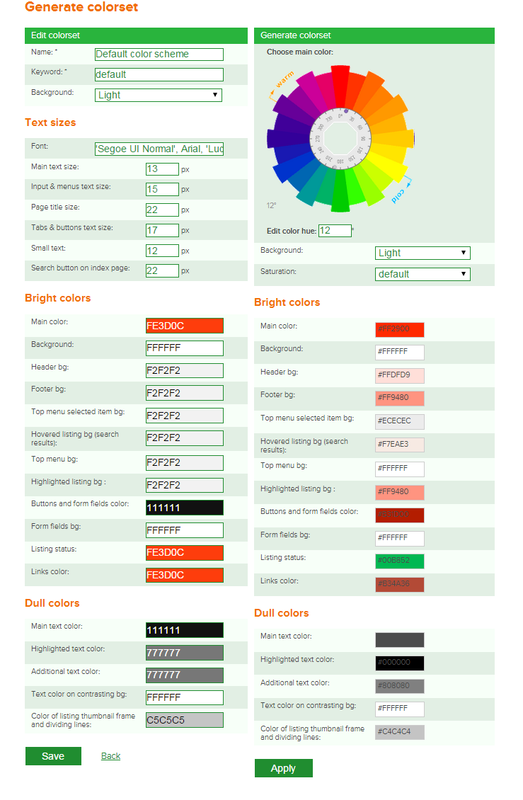 There are nine default color themes. 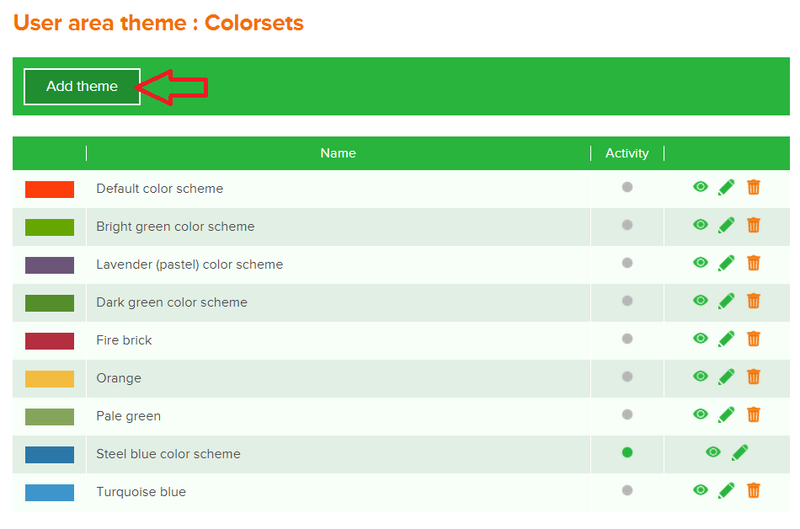 To add your own colorset, press “Add theme” button. Click a pencil icon to get to Color schemes editor. Text-, background-, links-, tabs-, buttons colors and fonts can be edited here. To change a site logotype, click a pencil icon. In logo editor upload a new logo and set up logo’s size. New logo should be uploaded for every available language version. The feature of adding a logotype to mobile version is not available in current version. This is how it works. To create a new theme, open your site files and go to /application/views. You will find /admin and /default directories that contain templates, CSS files and other files that constitute a design theme. admin stands for administration panel, default stands for user panel. Click Install to make it possible to edit and activate this theme. or proceed with editing themes in the administration panel.